Schultheis Bros. Co., offers a broad range of plumbing services and preventative maintenance to ensure your plumbing system is operating the way it should. Just like our heating and cooling services, our number one focus when it comes to plumbing preventative maintenance is customer satisfaction from a job well done. 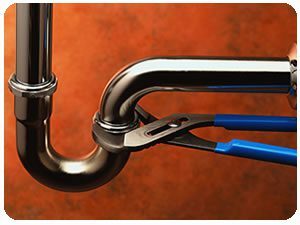 When it comes to plumbing preventative maintenance, our licensed master plumber will check over your home’s plumbing system to identify current issues and potential future issues. Not only is preventative maintenance for your plumbing system wise, it offers opportunities to catch small issues before they turn into something larger and more costly. For more information on plumbing preventative maintenance or if you have any questions about our other services, call us today at 412-793-8000. You can also fill out the contact form on the right or email us at info@schultheisbros.com and one of our knowledgeable associates will respond shortly. Having preventative maintenance performed on your plumbing system can play a crucial role in ensuring that your system gets as many years as possible. It is also a great way to prevent any major problems that could result in you spending more money. Problems that occur with your system can also prove dangerous, especially when electricity is involved. Any work that needs to be done to repair your system when dealing with both electricity and water, should be conducted by a licensed professional to make sure the job is done right and safely. At Schultheis Bros. Co., we have made it an absolute must to provide our customers with the quality work and great parts they deserve for over 70 years. If you have any questions about plumbing preventative maintenance or would like more information on how preventative maintenance is crucial for the functionality of your plumbing system, call us today at 412-793-8000. You can also email us at info@schultheisbros.com or fill out the contact form on the right and we will respond shortly.